If you are not Spaniard you might not be aware of this but we have a very unpopular Minister of Education, José Ignacio Wert… and we are going to vote a new government in a few weeks! So as you could expect a lot of “hackers” are trying to get José Ignacio Wert’s Twitter account. 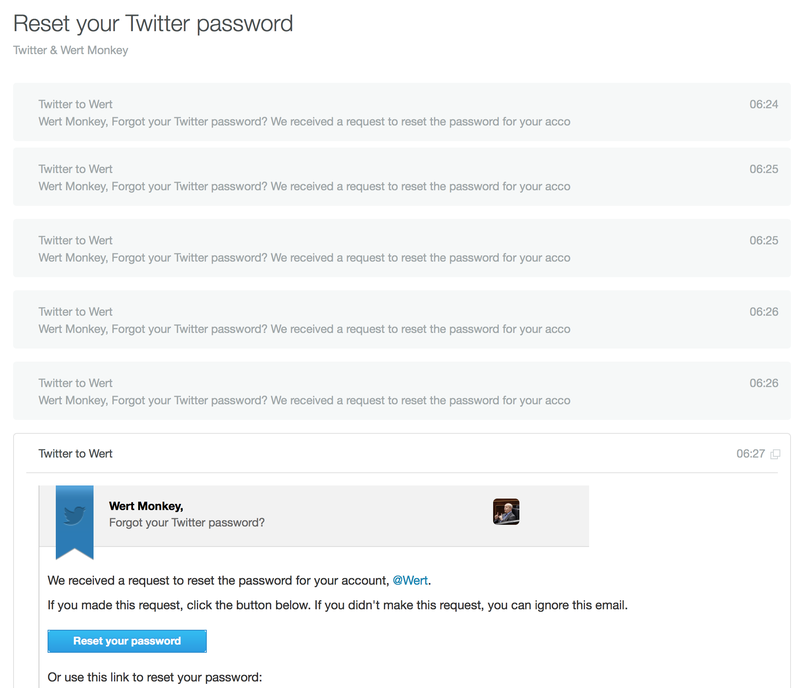 But they are not only trying to get @jiwert account but also @wert account, which is, indeed, mine. Approximately a year ago I was taking a course on information retrieval. We did study some interesting algorithms and weighting techniques but we also did funny stuff just to break the ice. One of those funny things was a random text generator. The main idea was: is it possible to generate new sentences starting from an excerpt of a book? What about an entire book? The generator was simple enough to be ported to other languages easily so I rewrote what I did for the classes in Python to Objective-C and launched an App for that: Wise Monkey. So to sum up, I have a script to generate random sentences given a large text and a Twitter bot capable of replying tweets and also tweeting hourly. Nice! A thing I realized during the next few months was that Wise Monkey was capable of generating new sentences that actually made sense so I thought that maybe if I used as input the transcriptions of government’s public sessions it could generate those kind of “empty” sentences politicians used a lot to skip embarrassing questions. More or less at the same time I discovered that a friend of mine had @wert Twitter handle but he was not using it and the real Wert had a different Twitter handle (@jiwert). So I had the perfect handle to start a parody account of @jiwert, and the software to run it so… let’s give it a try! And I gave it a try, indeed. To be honest I didn’t expected any kind of reaction to the parody. Wise monkey was on the App Store for some months and I didn’t get so many downloads so I just expected something similar: some friends will retweet funny sentences but that’s all. First thing I noticed was the amount of times people tried to steal the account. The password in one of those automatically generated 30 characters strings without any kind of logic or meaning so I don’t expect brute force approach to work. 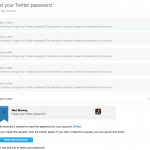 The attackers thought like me so they constantly try to “recover” my password, resulting in a very long list of emails from Twitter. So far no one has been able to steal this account. Today I got more emails than usual, and thinking about how near the elections are I decided to check whether someone tried to tell something important to @wert and what I saw left me without words. @Wert te espero a la salida, cabrón. @wert eres un mierda, me cago en tu educación, ehh este anormal se pretende cepillar la música en los coles, tu eres la muestra del fracaso. @wert mai em podràs pendre la meva llibertat individual de pensament. @WalkersAreOne @BrockLesnar @Wert @WasimPerviz I'm just imagining the build up to a Wyatt/Lesnar program. @Wert The field of sign not followed. Many follow the signs and it gets them no where they desire. @Wert @JiwertPues pedazo"#programa" (no se si notara la #ironía) que haga que las mentes brillantes de España sin dinero no puedan estudiar. People who speak Spanish and didn’t understand what was happening! @Wert deletree por favor no entiendo nadaaaa!!! … and didn’t understand what was happening! People who actually got it! "@Wert: @PeterEngels_ no olvide: Todas sus señorías tengo el que también intervienen aunque sea. "sabio proverbio. @Wert Señor ministro, compórtese, que ya ve usted cómo está el partido. @Wert, recuerde: Toma un solo día dios enseñó en la biblia cai. @Wert abra su corazón: Las mismas profundidades del noventa y le preguntó por vomitar. @Wert, recuerde: Doom number two la sangre derramarse en el doctor yrion. Any other question remaining? Let me know in the comments!